Many people recall their first car. A few buy the same model in their later years out of nostalgia. But rarely can someone claim to have bought back the exact car they owned in their youth. 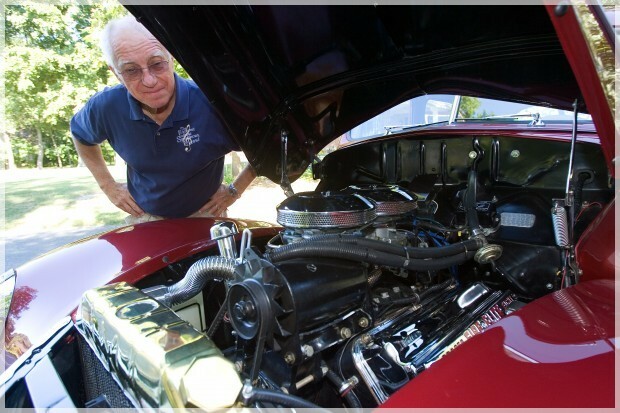 Through a chance encounter at a classic car show, St. John resident Rich Pacholski can. 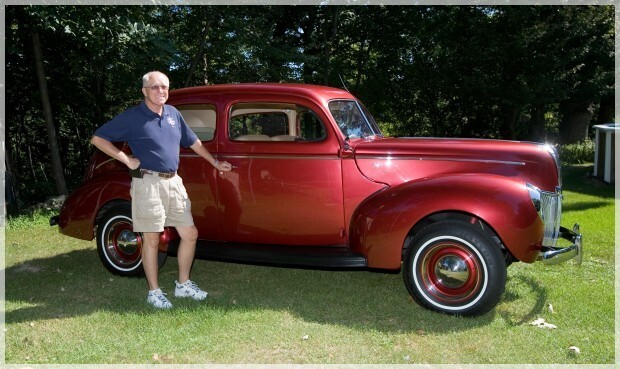 In 1957, at 15 years old, Pacholski and his friend, Bob Jatczak, bought a 1940 Ford Standard two-door sedan. They learned of the beat–up car for sale through a network of car buffs among the kids in their South Chicago neighborhood. 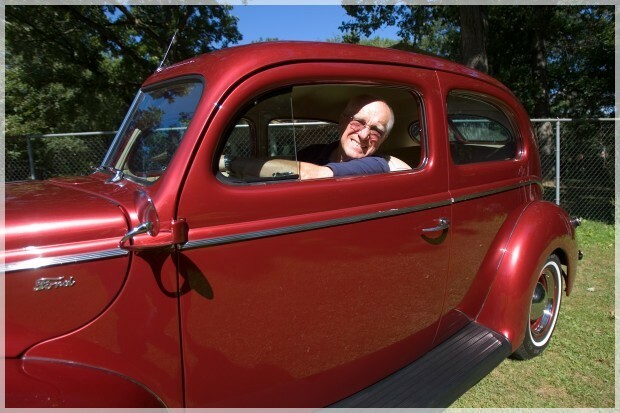 "Of all the cars we envied or wanted to have... the '40 Ford was my favorite," Pacholski said. The pair bought it "as is" for $10 to have as a project car. It had no interior or glass, nor did it have an engine. Its fenders were stashed in the passenger compartment. Pacholski and his friend dragged the car by a rope to a rented garage in their neighborhood. During the next year, the duo disassembled and rebuilt the car to race at a drag strip. To get the Ford race ready they installed a special engine a DeSoto "hemi," or hemispherical engine, popular among drag racers. Since appearance was secondary, they primed the exterior a dull gray and rigged a makeshift interior. 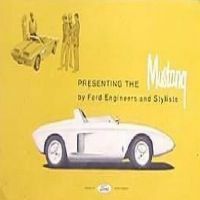 In 1960, Pacholski sold his interest in the car -- the initial cost, plus his share of parts bought to rebuild it to help fund his college education at St. Joseph's College in Rensselaer. Jatczak remained in South Chicago, became an auto mechanic and got married. The friends' paths diverged and Pacholski lost track of Jatczak and the car. 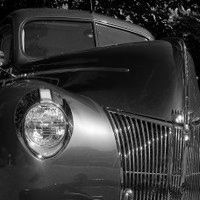 The 1940 Ford remained in Jatczak's garage until after his death in 1983. 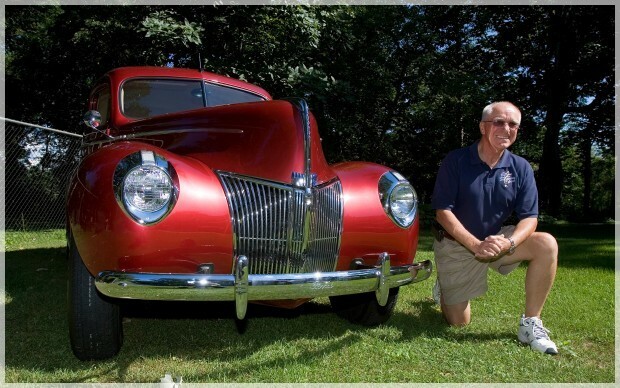 His widow ultimately sold the car to Crown Point car collector George Deifel. The car had fallen into disrepair, and Deifel took it upon himself to restore it. In 1995, Pacholski's son urged him to attend a local car show where he was displaying a truck. At the show, Pacholski spotted the open hood of a red 1940 Ford. Remembering his fondness for the model, he stopped to admire it. The car looked nothing like his old Ford. It sported a bright paint job and a professionally upholstered interior. But under the hood Pacholski noticed something unusual : a DeSoto hemi motor. Curious, he crawled under the car to look at the transmission. Again he found a remarkable coincidence : The car also had a unique transmission like the one he and his friend built. Pacholski asked the owner, George Deifel, about the car's origin. Deifel replied he had bought it on the Southeast Side of Chicago. Overcome, Pacholski shouted, "That's my car !" Pacholski briefly enjoyed his find. "It was a rush of different emotions," he explains. 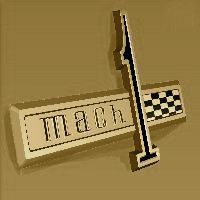 "All this rush of old memories that were connected with it: the assembly of the motor; the first time I drove the car; taking it to the drag strip." But Deifel wasn't interested in selling, and Pacholski wasn't in a position to buy the car. It wasn't until 2010, once Pacholski retired, that he considered buying a "hobby car." He remembered the 1940 Ford. By then Deifel had sold the car to another collector. With a few inquiries among local classic car enthusiasts and several phone calls, Pacholski tracked down the subsequent owner, who had been letting it sit idle in his garage. Pacholski and the owner worked out a deal. 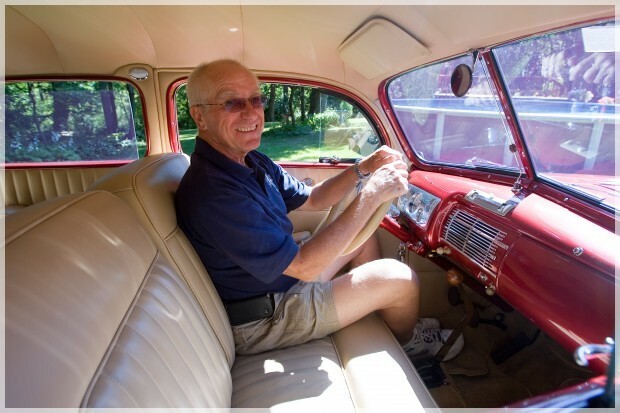 Pacholski enjoys having his car back especially in its restored condition. "It's kind of neat to drive it down the street and have people flash their lights, wave their hands and give you a thumbs up," he said. He appreciates the open door to conversation the car brings, too – whether at car shows or cruise nights, or in his neighborhood. "You become identified by your car. It's ready conversation." When asked if he'll ever let it go again, Pacholski responds with a quick "No!" He plans to keep the car for his children and have it stay in the family. It's his legacy, he said. And after the strange turn of circumstances that reunited him with the car, it's easy to understand. Pacholski doesn't take lightly his good fortune at recovering this piece of his youth. "I've accomplished having my favorite car," he said. "I'm really blessed." Credit Photos : St John Community par Lara Krupicka.